THIS CHARMING HOME IS SITUATED ON A CUL-DE-SAC AND HAS THE FEEL OF A COUNTRY GET AWAY WITH A TOUCH OF YOUR OWN PRIVATE OASIS. ONCE INSIDE, YOU WILL NOT BELIEVE HOW SPACIOUS AND COZY IT IS. FROM THE VAULTED CEDAR CEILINGS, TO THE WOOD BURNING FIREPLACE. UPDATED KITCHEN AND TILE THROUGHOUT. POUR A DRINK FROM YOUR PERSONAL WET BAR AS YOU SIT BY THE FIRE. 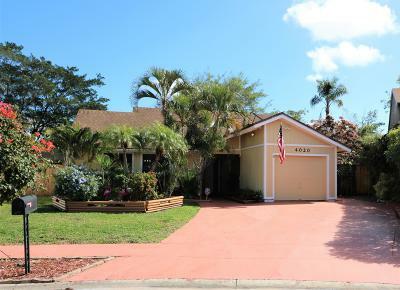 STEP OUT ONTO YOUR TROPICAL PARADISE TO ENJOY YOUR BEAUTIFUL FENCED IN BACK YARD WITH FRIENDS AND FAMILY! 1 CAR GARAGE WAS CONVERTED TO AN OFFICE/WORK SHOP WITH 2 WORK BENCHES THAT STAY, BUT IT CAN BE CONVERTED BACK INTO A GARAGE. AN ADDED BONUS ARE THE AMENITIES THE COMMUNITY OFFERS: CLUB HOUSE WITH POOL TABLES, LARGE SWIMMING POOL, HANDBALL COURTS AND A GYM.